This week we looked at some simple games that use magnets. 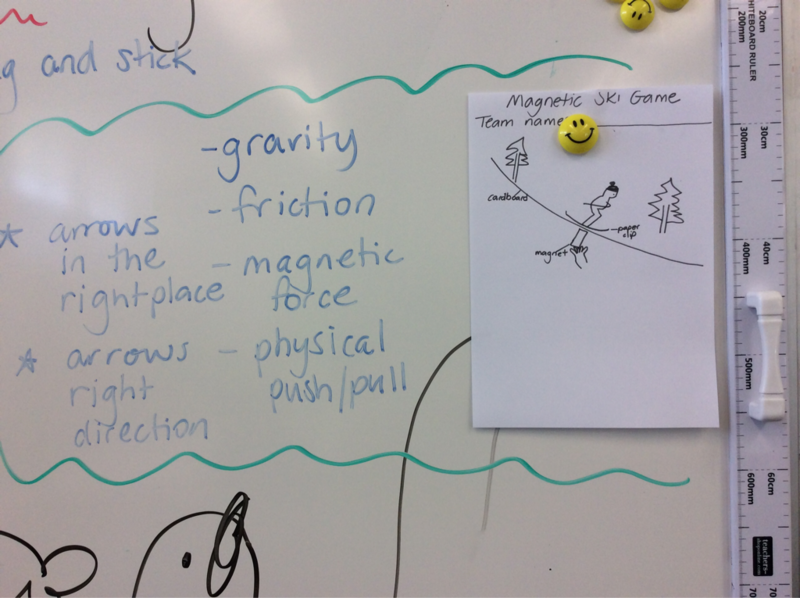 We focussed on a game of magnetic fishing and identified as many forces as we could that were acting within the game. We were looking for gravity, magnetic force, friction and physical pushes and pulls. It was surprising to see how these forces were all working in the game. Mrs Marini was very clear on which way the force arrow need to go, as some of us are still not doing then the right way. 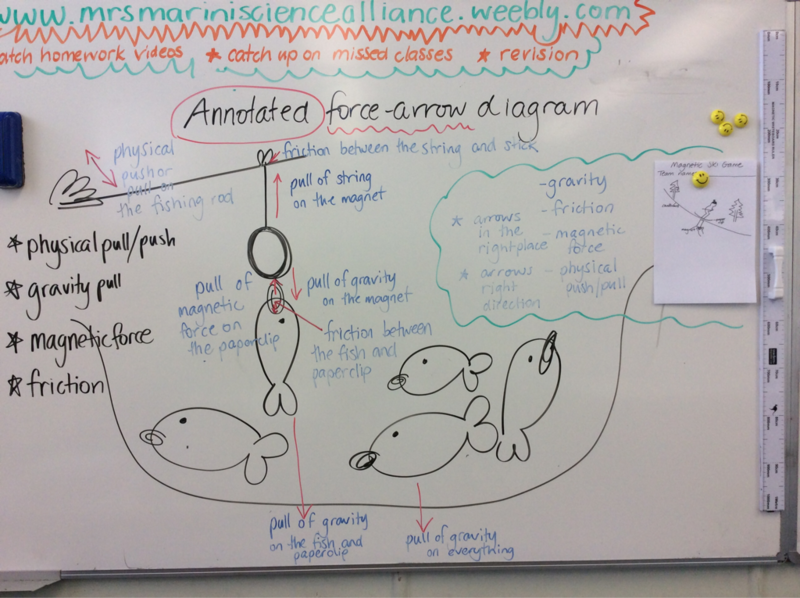 We all worked together to complete a detailed annotated force-arrow diagram. After that we looked at and discussed another game called the magnetic ski game. We then had to working in small teams to identify what forces were acting in this game and work out where and how the force-arrows should be drawn. We had to identify gravity, magnetic force, friction and physical pushes and pulls, and make sure the arrows were in the right place and the right direction. As this is an assessment item, Mrs Marini showed us some exemplars first to show us what her expectations were.